The text and images on this page are all copyrighted. With blue skies overhead, we walked hand-in-hand to see the Eiffel Tower. It was truly a magnificent sight, even if it was only a replica of the real thing. Looking over some information about the tower, I discovered that it was only 38 floors tall, and made of steel instead of cast iron. Over 2,800 tons of steel were used to create its massive structure. 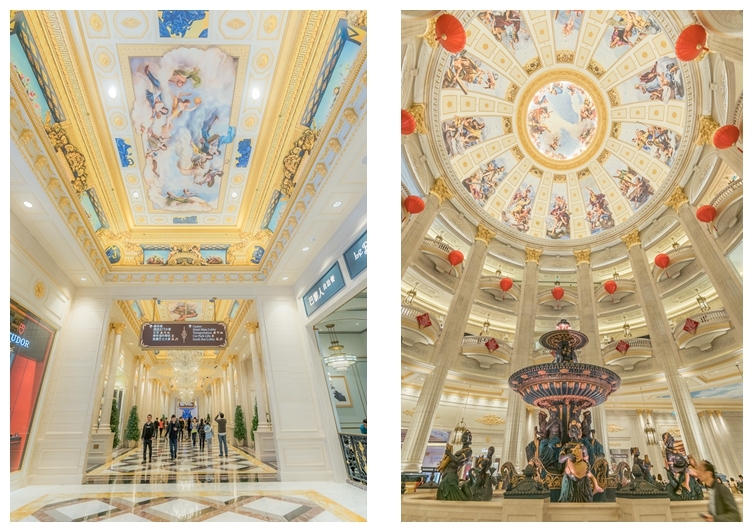 There we were, standing outside The Parisian Macao, ready to being our winter vacation in the Las Vegas of Asia. The climate in Macau is very mild in the winter; I only needed to wear a t-shirt and a light jacket. Plus, since The Parisian is owned by the same company that owns the Venetian, there was a convenient bridge connecting the two hotels. For three days, we barely needed to go outside. The hotel buildings themselves were enormous, and contained entire resorts inside their walls. We stayed in a room in the south wing. This wing had a buffet and luggage check-in counter. The north wing, on the other side of the building, contained a Cantonese restaurant called Market Bistro. 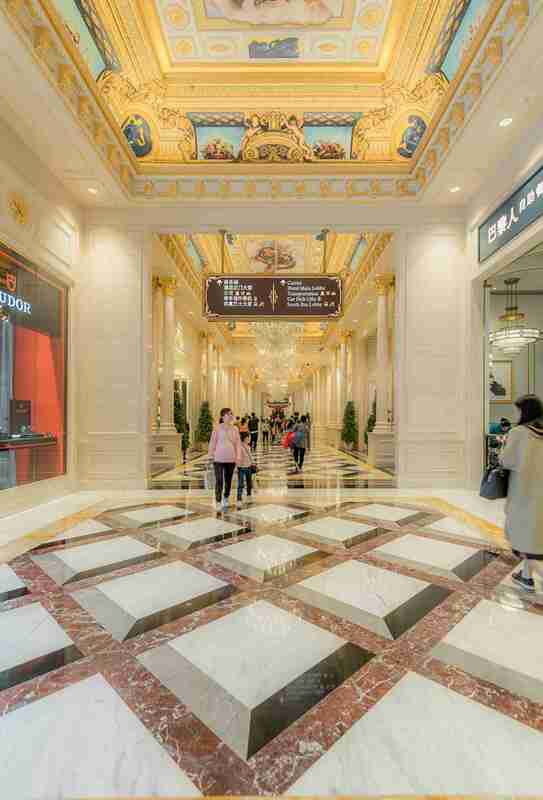 As far as shopping goes, The Parisian featured a mall calledShoppes at Parisian, as well as walkways connecting to shopping centers in the Venetian, Four Seasons, and Sands Cotai central. It goes without saying that due to the massive size of the resorts, we didn’t have enough time to explore them all. Every day while we were there, we walked through the palace-like halls of the hotel, taking in luxurious hospitality with every step. It was my mother’s birthday when we arrived, and so we decided to celebrate it here in Macau. She had a blast, and really enjoyed the experience. 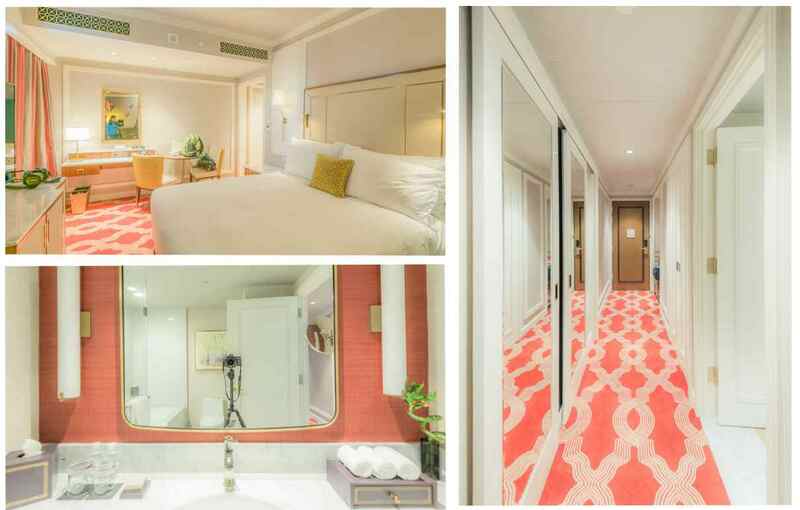 Because there were three of us, I decided to book a Famille Suite at the Parisian. 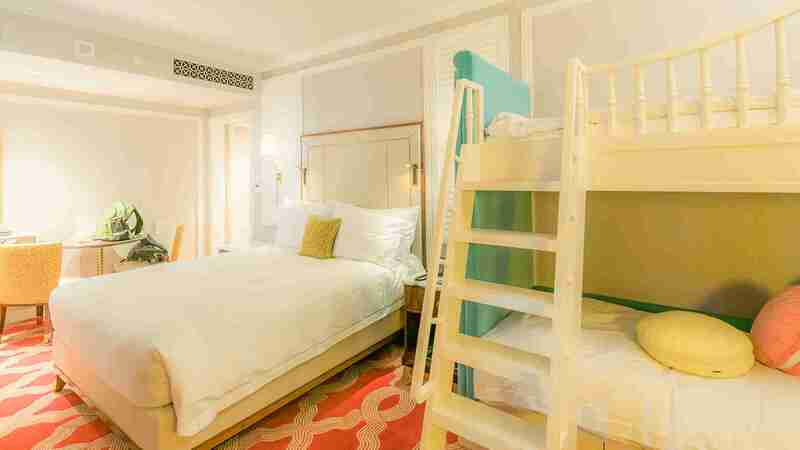 This kind of room can hold four people: two adults and two children. There was even a bunk bed for the little ones to sleep on. The carpet design and color really caught my eye. The room was also very clean. The cleaning staff worked diligently every day to keep it looking fantastic throughout our visit. Concerned parents will be happy to hear that special attention was paid to sanitizing the children’s bed. The room was very cute and the lobby was truly elegant. Every day, when we went out to eat, we would pass by these places. When we came, it was during the Chinese New Year season, and so we could see bright red lanterns strung up all around the resorts. There was a tangible feeling of New Year’s spirit floating in the air. After gathering our luggage at the airport, we boarded one of the Parisian’s free shuttle buses and departed for the hotel. I noticed that many people on the bus were speaking my hometown dialect. It turns out that the whole bus was full of Shanghai tourists travelling to Macau for the holiday. 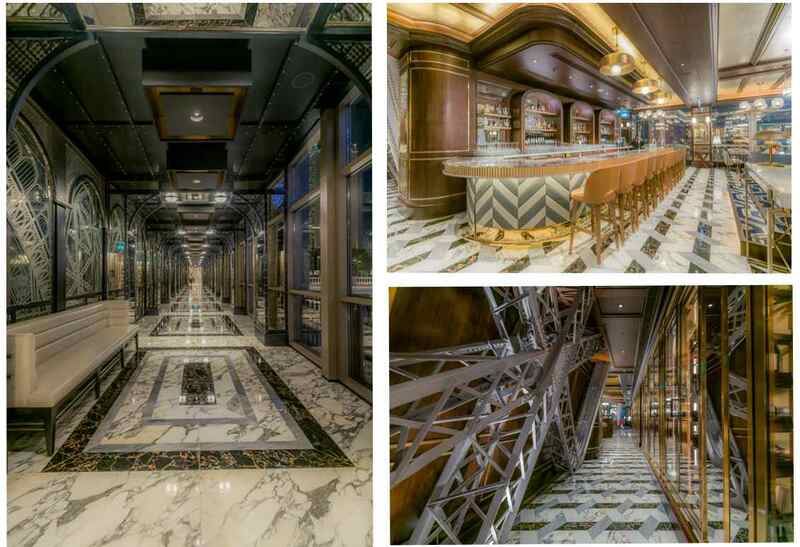 Since the bus was free, many of the people on it weren’t even staying at the hotel – they just wanted to take a peek at Macau’s newest luxury resort. Before we arrived, I heard that Planet J in Sands Cotai Central had opened earlier that year, and so I stopped by to check it out. Planet J is a “live action role-play theme park”, in which kids dress up as fantasy characters and run around a 100k ft2 “magical kingdom” going on quests and completing tasks. During our session, we helped an orange rabbit find her fruit juice, helped a young girl defeat an evil monster, helped a small mushroom find his friend, and completed various other interesting activities. The employees (also dressed up in full costume) played along with the children and cheered them on. In the Parisian, there is another children’s play area called Qube Kingdom. Its 20k ft2 indoor and outdoor play space is filled with loads of places for kids to have fun, including a large spaceship, slides, and a carousel. At first, I was taken aback by how strict the entrance procedure was. All children have to wear special wristbands and parents need to write down some personal information before the kids can enter. Once this all is done, the kids are free to run around and have fun!